I haven't been out with the camera in the city centre since the Christmas lights were switched on so I took the opportunity to go and have a look and get a few photos. 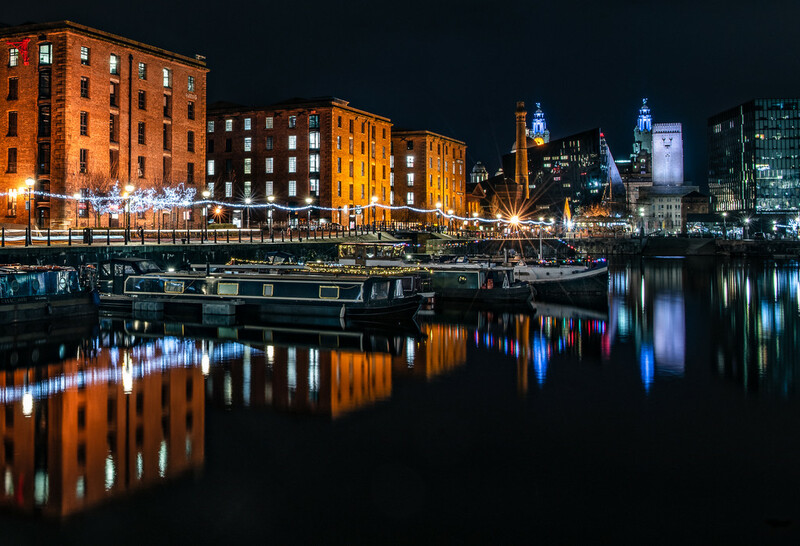 This was at the Albert Dock, the water in the dock was still so it was a good opportunity to get some reflection shots, did some long exposure shots with the camera balanced on a handy railing. Thanks for all your comments and favs on yesterday's sky reflection, I was thrilled to see it on PP and TP! Wow, Wow... err, did I say Wow? This is outstanding - it jumps of the screen on black! Definitely awesome on black! A fav. Wonderful clarity - terrific on black. Gorgeous reflections and night shot. Fav.